Before coming to Friends this year, I went to school at De La Salle Academy where there were great faculty members, as well as an optimistic environment. From day one, we always heard that we were one big family. 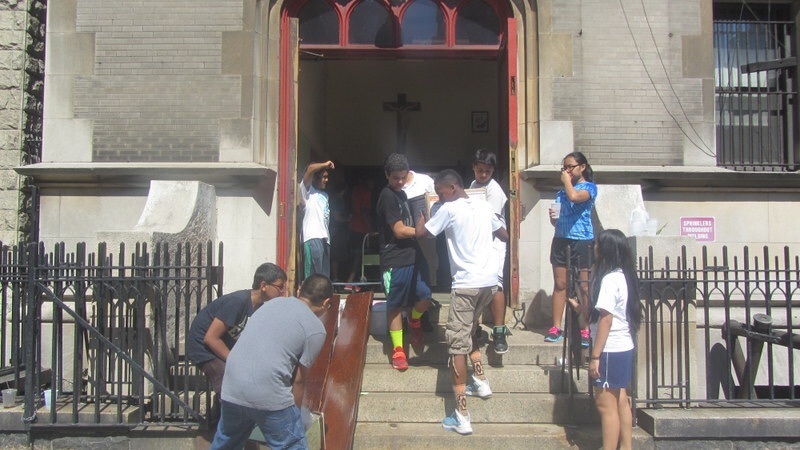 Community was a large part of the culture at De la Salle, and everyone always helped everyone else. 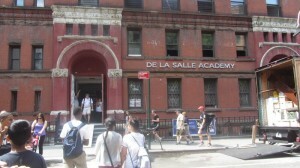 During the summer, De la Salle had to move from their home at 96th St and Amsterdam to a new, much bigger building at 43rd Street near Times Square. 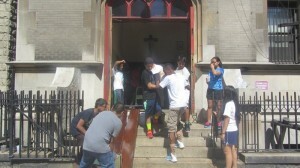 Some people came to help out; including parents and students who had graduated from the school a long time ago. I went to volunteer five days during the summer to help move all the things from the current building to the new building. Me, my friends and on some days my Dad carried heavy boxes of books, furniture and other items up and down many flights of stairs. I also helped clear out all the trash at the new building and we filled up a whole dumpster by the end of the day. I really enjoyed volunteering at De la Salle Academy and am very glad I helped. My volunteering experience at De La Salle during the summer made me realize that even though I had to work hard to carry heavy things up and down stairs, at the end of the day, I felt good about myself. I was happy that I was contributing to the community after graduating and I was hanging out with my friends like we had never graduated. I learned that even though I and my peers graduated, we could have said, “Well, we don’t have to help out, we graduated. 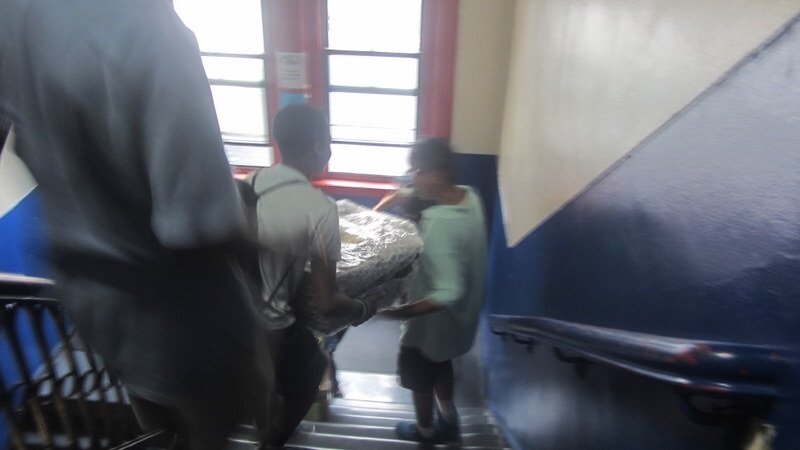 We can just sit home and play video games” but instead we made the effort and gave back to De La Salle what De La Salle gave to us. I look forward to doing as much volunteering as I can in the coming years. This entry was posted in Uncategorized and tagged Garnevicus by 18nishanth. Bookmark the permalink.